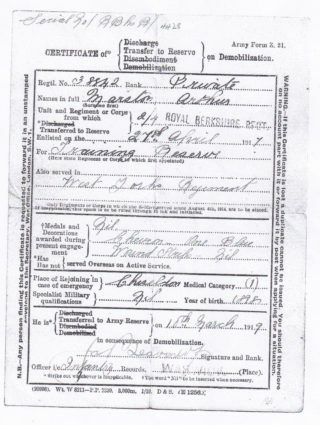 Private Arthur Marston's demobilisation paper, 1919. By Winn's store, c.1933. Evelyn Marston with her boys: John, Frank and Vic (oldest). This is a scan of a photocopy of a newspaper cutting belonging to the Marston family, originally published in 1934 by the Grantham Journal, with the original caption in which Vic , oldest son of Arthur and Evelyn Marston, is identified here as Vic Marsden. From a photograph belonging to the Marston family. Arthur with sheep dogs sitting in the sun on the grass by the Red Lion with a group of local men waiting for the coach to arrive for a day's outing. July 1949 at Nottingham - back row Arthur Marston, wife Daphne, Bob Tinkler, front row Daphne Marston and Joan Burrows (nee Patchett). From the collection of Mr Lol Pickin. Workers at W.J. Roberts' Ltd c.1960. 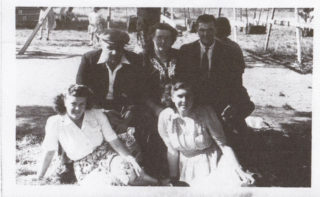 Arthur Marston is seen at the rear on the right. 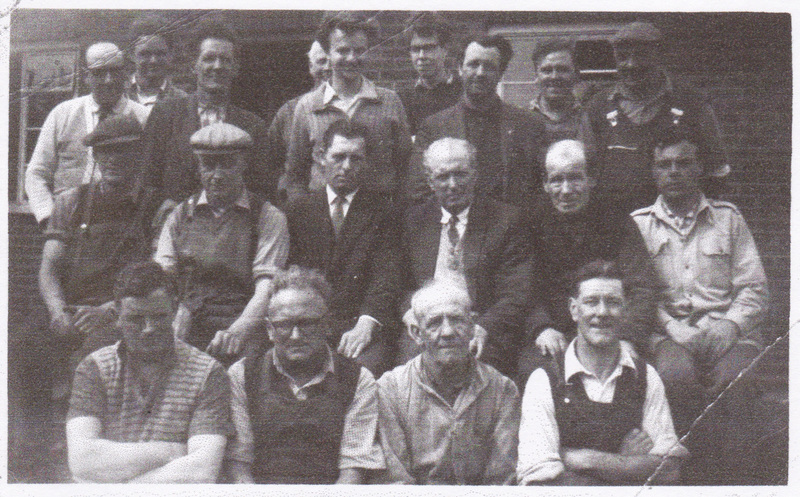 Arthur Marston was a well-known figure in Bottesford for many years, a village character as remembered in this website back in 2007. He and his wife Evelyn moved to Bottesford in the mid-1920s and remained until the 1970s. Arthur died in 1979. He had enlisted in 1917 when he had turned eighteen and served as a private in the Royal Berkshires. In the family records that have been examined, which go back to Arthur’s grandparents, the name was written as Marsden and Marston on different occasions. Arthur William Marston was born in January 1899 in the Ruddington district, South Nottinghamshire, the second son of William Henry and Lucy Marston. William Henry Marston (or Marsden) was baptised at Hemswell (Hemswell Cliff), in the Gainsborough district of Lincolnshire, in October 1863, the second of three sons of James and Elizabeth Marston. In 1871, they lived on Church St in Gainsborough itself. Arthur’s grandparents, James and Elizabeth (nee Musson), were married at Little Bytham, Lincolnshire, on the 26th June 1855. James, born in Carlton Scroop c.1835, was a railway porter in the 1871 census, which also recorded Elizabeth as a ‘mantle maker’ born at Little Bytham c.1837. James may have died in 1915 in the Grantham area, but details of his wife’s death have not been found. In the 1881 census, William Henry was recorded as an eighteen year old engine fitter and turner living with widower Solomon Marston (68, from Redmile) at Normanton, also known as Normanton Cliffe, a village some seven miles north of Grantham. A widow named Elizabeth Marston lived on her own next door, and then came the household of John (65, from Redmile) and Mary Marston (59, from Welby, Lincs). It is unclear what the family relationships are, but it is possible that John and Solomon were brothers of Arthur’s grandfather, and Elizabeth could have been their sister. No record of William Henry’s whereabouts in 1891 has been found, nor is it certain where or when he married Arthur’s mother Lucy (nee Wombwell), who was born at Caunton, near Newark, in about 1868. Details of their marriage have not been found. However, in 1901 the Marstons lived on Melton Road, close to Normanton Lane, Normanton on the Wolds in the parish of Plumtree. 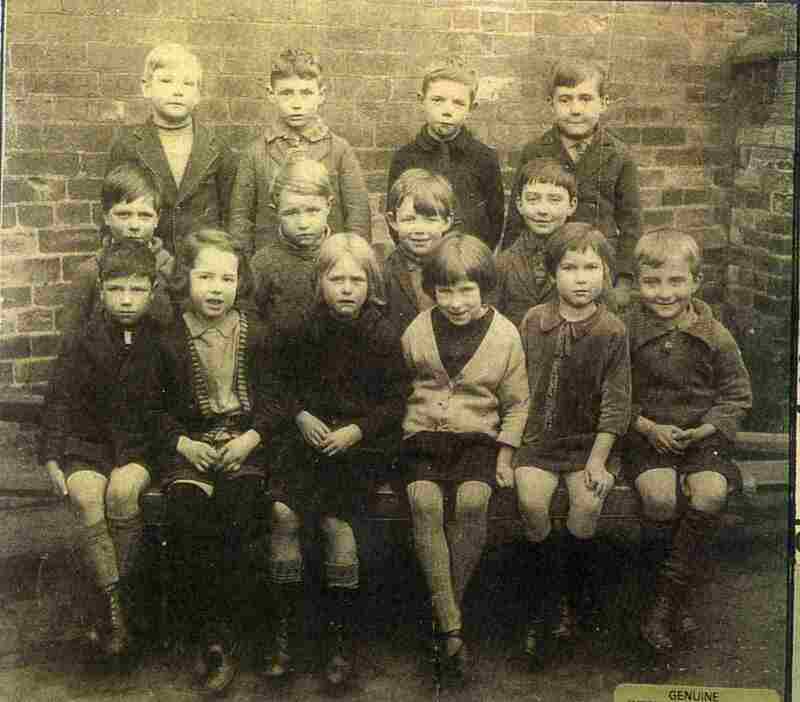 In addition to William Henry (36, at work as a waggoner) and Lucy (33), there were four children: Frank (aged 8,born in Clifton, Nottingham), Gertrude (6, also born in Clifton), May (4, born in Ruddington) and Arthur (2, also born in Ruddingon). In the 1911 census, the Marstons lived in a house at Gamston, Nottingham, which had three bedrooms and one living room. 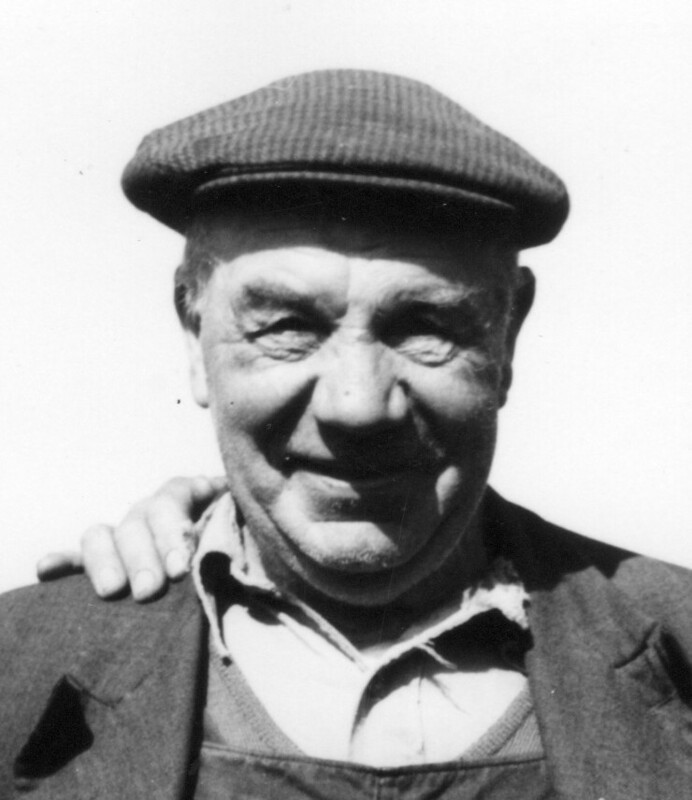 William Henry was now recorded as a farm labourer. Arthur’s sister Gertrude was married and her son Frank Willis was six months old. Arthur’s elder brother Frank was a farm labourer, while Arthur himself was at school, as was his younger sister Lucy, aged 9 (born in 1902). Henry William Marston died at 121 Highbury Road, Nottingham, on 24th January 1943, though at this time he and Lucy were living at North-End Cottages Tollerton. The probate of his estate was to be carried out by Lucy Mary Lane (probably Arthur’s younger sister Lucy) – its value was £327 3s 9d. Arthur Marston enlisted on the 26th March 1917, aged 18, and was placed in the Training Reserve and then posted as Private 38842 in the West Yorkshire Regiment. A month later, on the 27th April, he was transferred to the 2/4th Battalion of the Royal Berkshire Regiment whee he remained for the two years of his service. 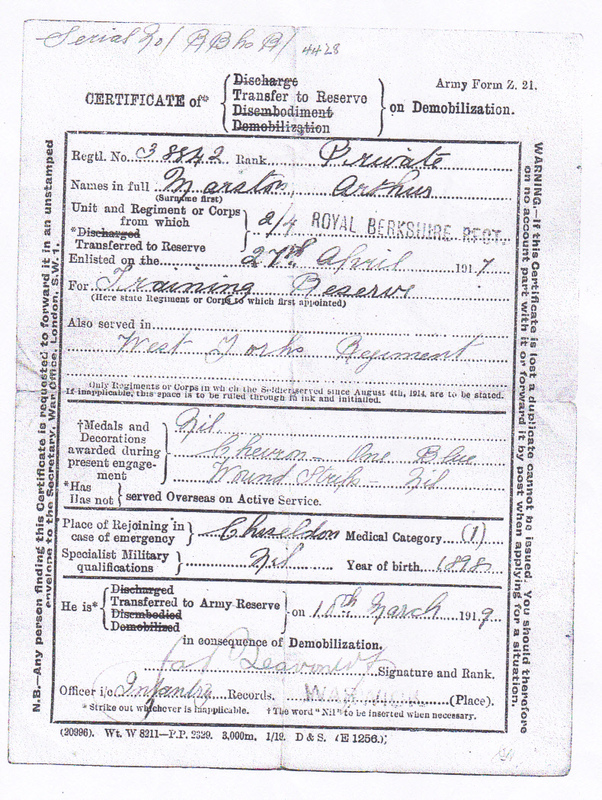 Arthur was discharged on 10th March 1919. No further details of his two years’ war service have been found, but it is possible that he was if France or Belgium for some of the time. His Demobilisation Certificate records that he received one blue wound stripe chevron but states that he was not decorated. However, his Medal Index Card confirms that he was awarded the British War Medal and the Victory Medal. After his service, Arthur married Evelyn Daphne Box, on the 26th March 1921. The ceremony took place at the Parish Church West Bridgford, presumably St. Giles. Arthur’s father was now known as John William Marston, a farm servant, according to Arthur’s marriage certificate. Evelyn A. Daphne Box was born in 1899 in Bishop’s Sutton in Hampshire. At the time of the wedding she was living in Musters Road, West Bridgford. Her parents had moved to Aslockton from Hampshire, certainly before 1911. Her father Henry James Box had been a groom in Hampshire, and in 1911 was registered as a jockey. Her brother Frederick was also a groom. In the1939 Register, Henry James Box and his wife lived on the High Street, Bottesford, close to the garage run by Bill Christmas. Henry was recorded as a stud groom. Arthur and Evelyn went on to have at least three sons, Victor (Vic), Francis (Frank) and John, and a daughter named Daphne. The birth of Arthur W.H.V. Marston took place in 1921 in the Bingham Registration District – this may well have been their first child who was known as Vic Marston. 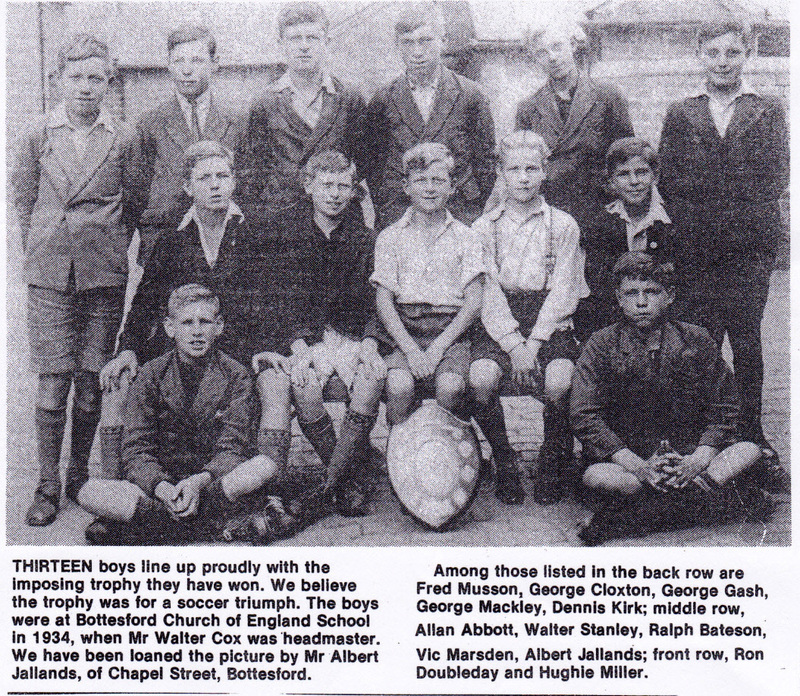 He would thus have been 13 when pictured in the 1934 photo of Bottesford school football team (Grantham Journal). Electoral rolls from the early 1920s record Arthur Marston living at Normanton on the Wolds in the parish of Plumtree, near Ruddington and West Bridgford. 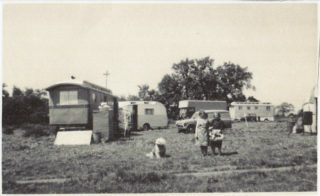 However, those from 1926 and 1930 record that by this time they had moved to Bottesford and were living in Queen Street, indicating that the family had arrived in the village around 1925. 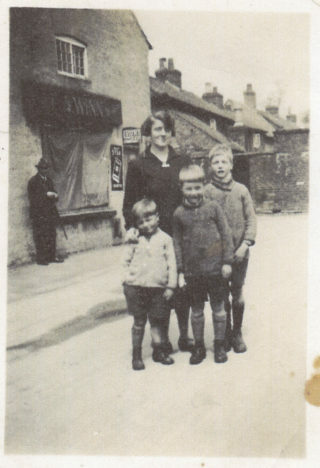 In the 1939 Register, Arthur William Marston was at ‘West Ways’, 84 Pinfold Lane, Bottesford, with Evelyn (born 21/8/1898), their son Francis (Frank) (born 28/12/1922) and three other children. Father and son were both farm horsemen. Arthur Marston died on 19th April 1979 aged 80 years and his death was registered in Melton Mowbray. His funeral took place on the 23rd April 1979 at Bottesford, and he was cremated at Grantham Crematorium. The date and place of the death of Evelyn, Arthur’s wife, have not been found. There is in Bottesford churchyard the headstone commemorating Frank ‘Marsden’, Arthur’s son, who died on the 14th January 1981 aged 58. Gladys, his wife, stayed in the village until she died a few years ago, living close to the churchyard on Church Lane. During the Second World War she worked in the Raleigh factory in Nottingham, and then joined the Land Army in 1946 as recalled by Sue Dunsmore (link). Pleased to see this latest addition on the website. 121 Highbury Road was the old Highbury Hospital, poss known at that time as the Basford Institution. Evelyn’s parents lived on Queen Street in the first terraced house next to the old police station. Evelyn died in July 1962 in Grantham Hospital, of a heart attack, aged 63. I have only this week learned about Evelyn’s brother Henry James jnr ‘Harry’, who was killed in action in WW1 in France a month before the end of the war, in Oct 1918, aged 24. He is buried in Neuvilly Cemetery, and his name is listed on the war memorial in Orston Church. The surname on Gladys and Frank’s headstone is ‘Marston’. Gladys and Frank met in 1946 while she was in the Land Army, and Frank a farm-hand at Millingtons farm, Elton, they married in 1948. 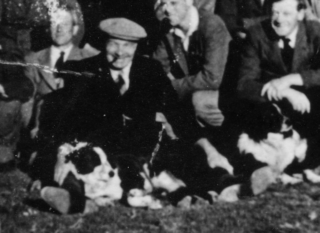 Ps – love the photo of Turville’s fair in Palmers Field, it really brings back happy childhood memories, glad to see Lassie is named first, quite right! !